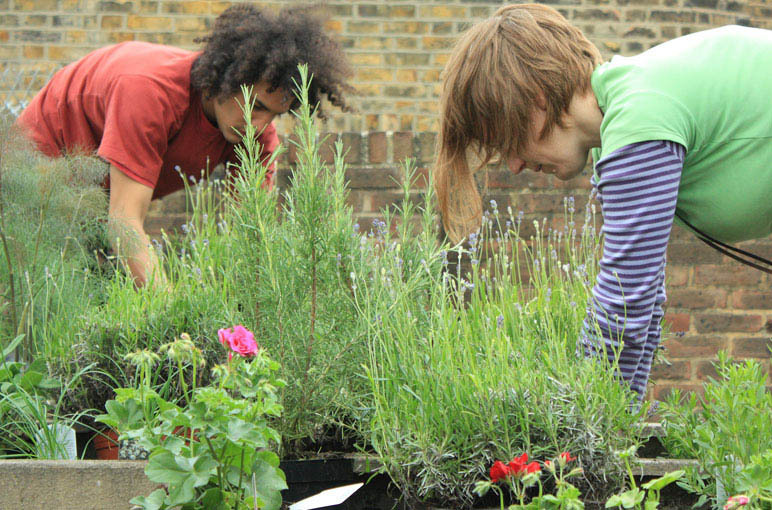 Capital Growth is a partnership initiative between London Food Link, the Mayor of London and the Big Lottery’s Local Food Fund with the aim of creating 2,012 new community food growing spaces across London by the end of 2012. As we approach the end of the year, 1,968 spaces have been created, so that’s pretty close to the target! How do we know so much about the initiative? Well, one of those spaces was initiated by our very own Bow Arts Live/Work artist, Atlanta Duffy. Known by its project name, Fairlie Grow, the space has transformed a previously unloved communal area at Fairlie Court in Bow, East London. The Live/Work scheme is a unique social enterprise initiative in which Bow Arts and local social housing landlords, Poplar HARCA, have combined forces to offer artists the opportunity of affordable live/work space in Tower Hamlets. The scheme not only supports artists but also promotes access to culture within communities. The Fairlie Grow project grew out of this and, having secured an ‘O2 It’s Your Community’ grant, Atlanta teamed up with other local residents at Fairlie Court to start the garden over three years ago. 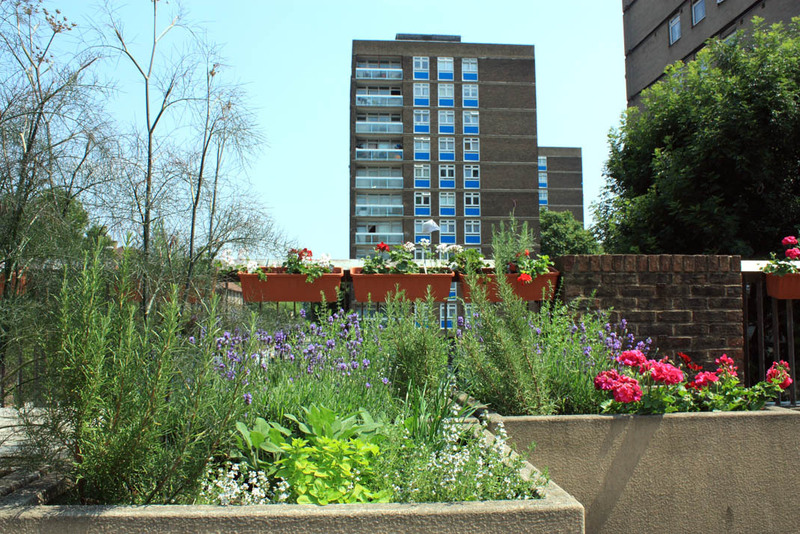 In 2009 it won ‘Best Newcomer’ in Tower Hamlets in Bloom Competition, and now their success has been rewarded with first prize in the Capital Growth Bee Friendly Food Garden. The judges were very impressed both by the amount of wildlife that the garden attracts and the sense of community engendered since its inception. And we thought it only right and proper that it features in our Green Blog. The paths to sustainable living are many and varied. Investing in green spaces and in relationships within the community, as well as providing an informal setting for learning and skills building, all create immense environmental, social and educational value out of limited resources. Well done to the Fairlie Grow project.